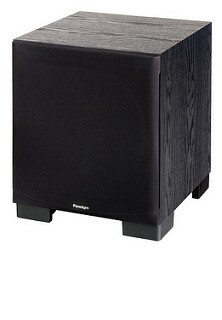 A compact footprint without compromising bass output or bass extension. Trickle-down Paradigm Reference technology … despite cone size, the Active Ridge (ART) Technology surrounds help cones move huge volumes of air for bass so loud and so deep it will send the cat running for cover. State-of-the-art room-tuning technology. Don’t worry about perfect placement, put the sub where it looks best and let Paradigm’s Perfect Bass Kit™ (sold separately) dial in perfect bass. Go wireless! Paradigm’s PT-1 transmitter (sold separately) can be used with up to four Monitor subwoofers simultaneously. The clean, modern aesthetic matches the new Monitor Series 7 speakers. 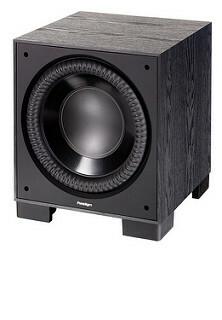 Monitor Series 7 subs were designed, engineered and manufactured in our state-of-the-art Toronto, Canada facility. 15.128" × 13" × 14.5"